A round-up of stories on Northwest wine from November 15th to 30th 2016. 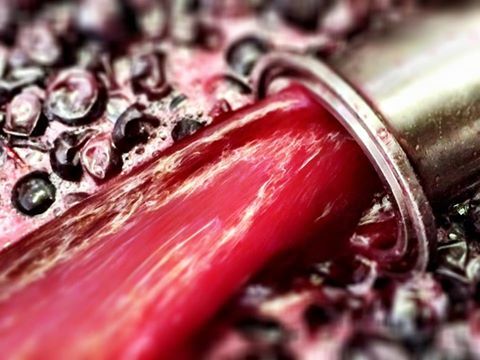 Wine Spectator writes about an Oregon Pinot Noir producer’s transparent pricing. The Worcester Telegram recommends several Northwest wines for the holidays. 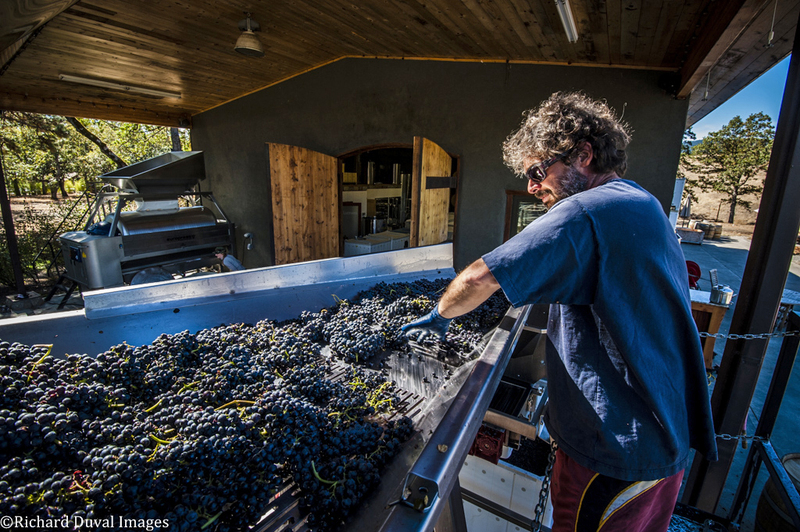 Harvest season: part choreography, part critical response as winemaking teams throughout the state juggle grape delivery with sorting, crushing and storing. Resident photographer Richard Duval spent weeks on the road from Chelan to the Columbia River Gorge, capturing the frenzy and the joy of harvest. The following are standout wines from recent tastings. This is the inaugural release from this winery, and this Cabernet Sauvignon dominant blend impresses with aromas and flavors of poblano pepper, spice, vanilla and cherry. Merlot and Cabernet Franc make up the bulk of this wine, which displays aromas, and flavors of earth, flowers, black plum, and green herb along with a sense of texture that captivates. This blend of Merlot and Cabernet Franc brings aromas of huckleberry, green herbs and light barrel accents. The flavors are rich and dense with chewy tannins providing support. A round-up of stories on Northwest wine from October 8th to 14th. Read previous round-ups here. Wine Spectator writes about a new winery at the starting gate in Oregon. The New York Times writes about putting together the details of Oregon Pinot Noir. 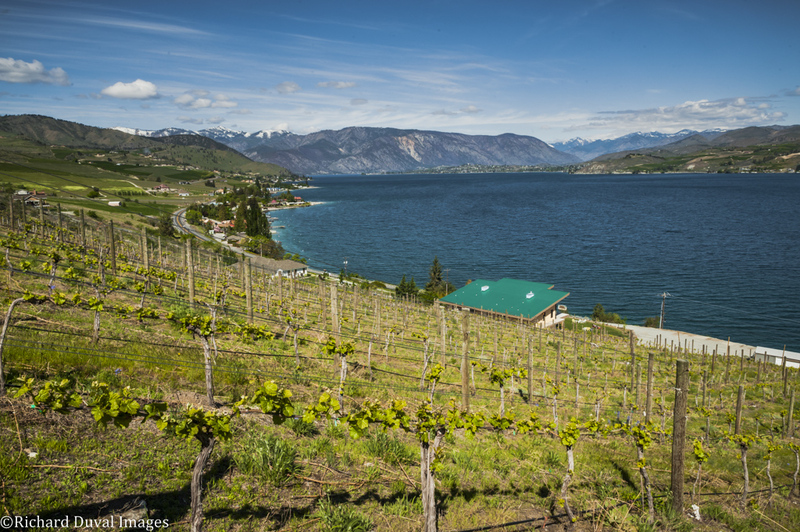 The Wall Street Journal writes about a home above a winery in Lake Chelan. We've passed the six week mark on harvest, which began on August 13th with a pick of Sauvignon Blanc at Artz Vineyard in Red Mountain by Woodinville's Auclair Winery. Below is a look at harvest based on what has been picked when and where. Many expect harvest to wrap up around the middle of the month, though for some it will surely stretch out until the end of October, weather permitting. Enjoy! Picture courtesy of Walla Walla Vintners. A round-up of stories on Northwest wine from September 15th to 21st. Read previous round-ups here. The New York Times writes about Oregon Pinot Noir. At Business Insider, Deb Hatcher of A to Z Wine Works says you’re serving your reds and whites at the wrong temperatures. D Magazine writes about Riesling. 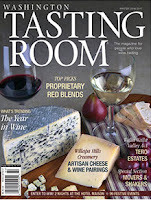 Seattle Metropolitan's Top 100 Washington wines, authored by yours truly, is now available on-line. You can read the introduction here. The list is broken down into various sub-lists as shown below. Enjoy! The Drinks Business gives some pictures from harvest in Oregon. Wine Spectator writes about Walla Walla. 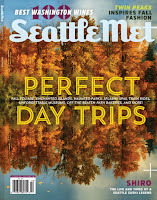 The October issue of Seattle Metropolitan magazine contains this year's Top 100 Washington wines by yours truly. The issue is on newsstands now. The following are some of the standout wines from recent tastings. This month’s wines include some terrific values, including this Cabernet Sauvignon and Merlot dominant blend. Oak spice, cherry, and herb aromas lead to bountiful fruit flavors, with the barrel influence at times playing prominently. L’Ecole has been making this wine for some time but this is the first year when it will be available nationally, A blend of Bordeaux and Rhone varieties, it’s downright delicious, with raspberry, plum, and black fruit flavors. A round-up of stories on Northwest wine from September 1st to 7th, 2016. Read previous round-ups here. Wine Enthusiast interviews Michael Savage of Savage Grace (interview by yours truly). Wine Spectator tastes a 12-year vertical of Quilceda Creek. 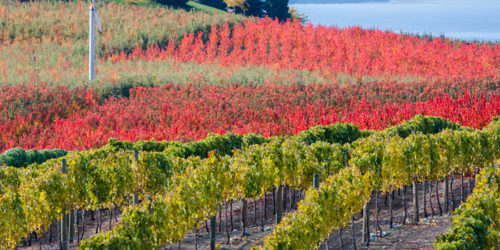 Wines and Vines writes that cooler weather promises a photo finish in the Pacific Northwest. The October issue of Wine Enthusiast magazine has an interview I conducted with Michael Savage of Savage Grace Wines titled, "Mindful Winemaking in Washington State." You can read the article on-line here. A round-up of stories on Northwest wine from August 8th to 31st. Read previous round-ups here. The Yorkshire Post writes about scaling the Pacific heights for a decent bottle of wine. Wine Spectator writes about the Auction of Washington Wine raising $3M. The Chicago Tribune gives 12 Oregon Pinots that prove the 50 year experiment paid off. The Washington Post recommends five wines to beat the heat, with a callout to Barnard Griffin. 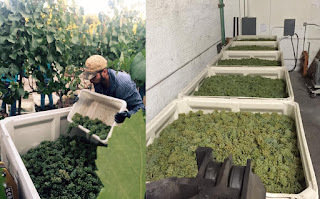 Harvest has begun in Washington, with Chelan's Karma Vineyards bringing in five tons of Wente clone Chardonnay from French Creek Vineyard in the Yakima Valley. The fruit, which came in on August 15th, will be used for sparkling wine. Landon Sam Keirsey, cellar master at Karma, said that the winery brought in this same fruit on August 17th last year. Sugar was measured on August 12th at 16 to 18 Brix and will be measured again tomorrow at the winery. Pictures courtesy of Damon LaLonde (left picture) and Landon Sam Kiersey. Resident photographer Richard Duval captured veraison at Hightower Vineyard on Red Mountain earlier this month. 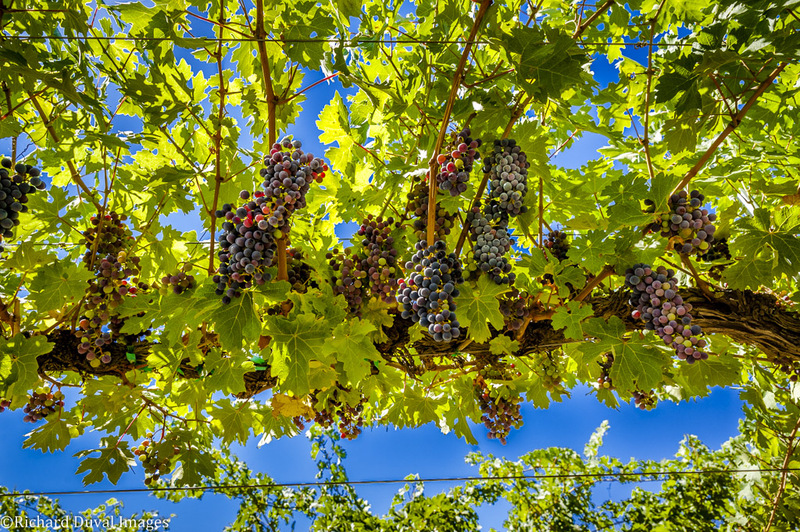 “If bud break is the starting gun of the race to harvest, then surely veraison – the change of grape color that signifies ripening – is the beginning of the bell lap towards full fruit,” he noted. “Harvest is coming and that means your favorite wineries will gear up soon for grapes arriving on the crush pad - the colorful, chaotic finale of the wine season.” Stay tuned. A round-up of stories on Northwest wine from August 1st to 7th. Read previous round-ups here. Greenville News writes about Columbia Winery. Great Northwest Wine writes about Red Mountain. They also write about Chateau Ste Michelle focusing on aged Riesling, a wild fire barely missing DavenLore Winery, and DANCIN Vineyards. Washington Wine Blog writes about Alexandria Nicole. Adams Bench has made a name for itself on the strength of its Cabernet and this is an impressive addition to the lineup, full of rich black fruit flavors and firm, chewy tannins. 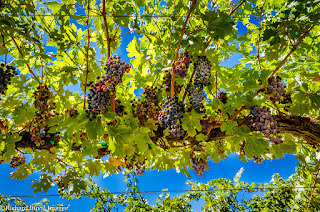 Angel Vine focuses largely on Zinfandel and Primitivo and crafts some of the most compelling versions of these varieties the state has to offer. Raspberry and cranberry aromas lead to tart, broad fruit flavors that show a fine sense of balance. Below are my Wine Enthusiast reviews for September 2016. Wines are listed alphabetically by winery. Read additional information on how I review wines here. All of these reviews are freely available on-line at the Wine Enthusiast Buying Guide. There is also a freely available Wine Enthusiast Tasting Guide app. See previous Wine Enthusiast reviews re-published in this space here. Search Wine Enthusiast's on-line database here. 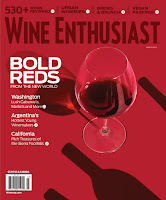 283 wines reviewed in the September issue of Wine Enthusiast. EFESTE leads the way with a strong set of red, white, and rosé releases. A few particular standouts are the Boushey and Red Willow Syrahs (EFESTE 2013 Jolie Bouche Boushey Vineyard Syrah Yakima Valley $44, 92 points; EFESTE 2013 Eleni Red Willow Vineyard Syrah Yakima Valley $54, 92 points); a standout second vintage of the Oldfield Rosé (EFESTE 2015 Oldfield Estate Rosé Yakima Valley $22, 92 points; and finally a stellar oyster wine in the Feral Sauvignon Blanc (EFESTE 2015 Feral Evergreen Vineyard Sauvignon Blanc Ancient Lakes $20, 91 points). The following is an excerpt from the September 2016 Wine Enthusiast Buying Guide. A round-up of stories on Northwest wine from July 1st to 7th. Read previous round-ups here. Sports Illustrated writes about Doubleback. 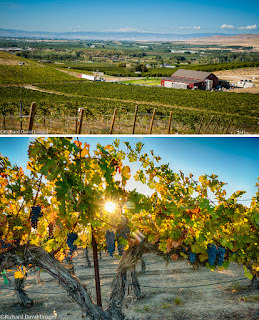 Brides writes about a Washington wine country honeymoon. 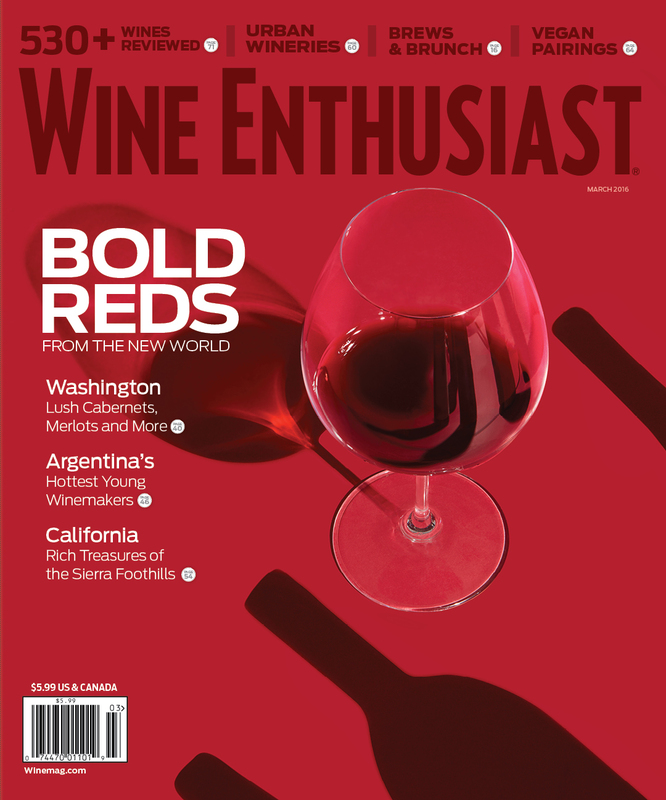 D Magazine recommends some Washington reds. The Washington wine industry continues to surge: new wineries are opening almost daily (at last count, the number is over 900) and vineyard planting is on the rise as well. 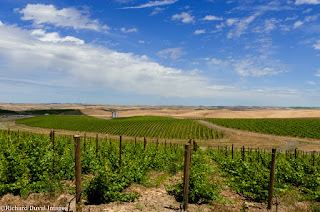 You can easily see newly planted vines dotting the Red Mountain landscape as well as expansion in the Walla Walla Valley. Perhaps the most ambitious project in the latter area is Éritage Vineyards, spearheaded by Justin Wylie from Va Piano Vineyards. The following are some of the standout wines from my tastings last month. Mourvèdre (70%) takes the lead on this GSM blend which puts a premium on purity. It’s loaded with mesmerizing aromas and flavors of cranberry, black pepper, orange peel and dried herbs, showing - a flat out stunner. It’s impossible to drink Grenache from Boushey Vineyard and not think about how he once swore never to plant the variety due to its notorious cold tenderness. Grenache clearly excels there, as shown by this lush, pure offering, which comes from Full Pull Wines. A round-up of stories on Northwest wine from June 1st to 7th 2016. Read previous round-ups here. Wine Spectator writes that Oregon homes in on Chardonnay. 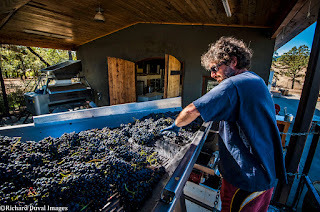 Great Northwest wine writes that 2016 tracks ahead of 2015. They also write that wineries hope to restore glory to Sunnyside, Syrah playing a vital role in Northwest blends, and Amelia Wynn finding a home on Bainbridge Island. A round-up of stories on Northwest wine from May 22nd to May 31st 2016. Read previous round-ups here. Wine Enthusiast writes that Willamette Valley moves in to Walla Walla. Orange Coast magazine writes that there is more to love in Oregon than Pinot Noir. Journal Review (Indiana) writes about white wine. 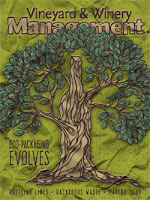 The June-July issue of Vineyard and Winery Management Magazine has two articles I wrote. 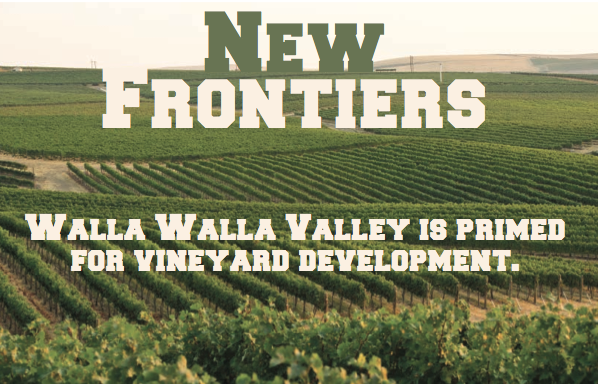 The first, linked to yesterday, is on vineyard development in the Walla Walla Valley. The second is on recent innovations in wine closures and capsules. 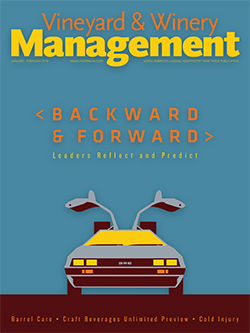 See a complete list of print articles, most with links, here. 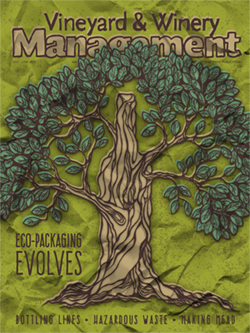 The following is an excerpt from an article in the June-July issue of Vineyard Winery Management magazine. Since Gary Figgins and his family planted the first modern-day grape- vines in the Walla Walla Valley at Leonetti Cellar in 1977, the region has been a crucial part of Washington state’s wine identity. However, the knock on Walla Walla, for many years, was it was home to numerous wineries and tasting rooms (cur- rently more than 120) but few vineyards. 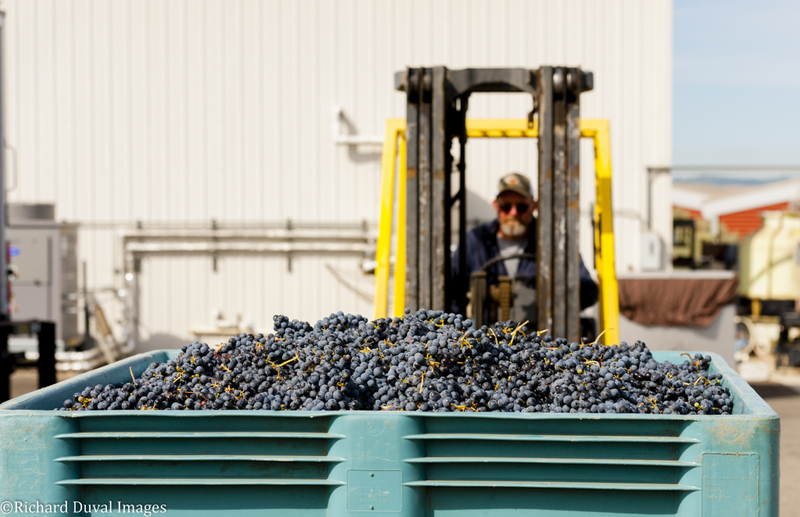 Decades later, while many local wineries still source fruit from throughout the larger Columbia Valley, Walla Walla Valley is flour- ishing as a grapegrowing region, with sev- eral new areas being explored to broaden its offerings and impact. A round-up of stories on Northwest wine from May 15th to 21st. Read previous round-ups here. Wines and Vines writes that Whitman sells again. The Cape Gazette (Delware) writes about Oregon. Great Northwest Wine writes about the rise and fall of Lemberger. They also write about the groundbreaking at Pambrun, the Oregon Wine Board’s first touring guide, and Seattle gearing up for Riesling Rendezvous. A round-up of stories on Northwest wine from May 8th to 14th. Read previous round-ups here. The St. Cloud Times writes about the 14 Hands Sauvignon Blanc. D Magazine writes about the Salud wine auction. Ship Compliant gives an overview of the Washington wine market. Spring has sprung in Washington wine country, and the onset of the sun is the starting flag for resident photographer Richard Duval. 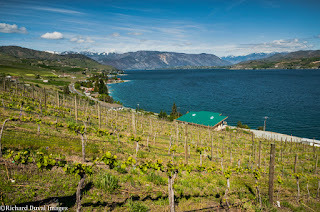 On a recent two-day shoot of the Lake Chelan AVA, he spied serious growth on both sides of the lake. Particularly riveting is Mellisoni Vineyards on the lake’s south side. A round-up of stories on Northwest wine from May 1st to 7th. Read previous round-ups here. Wine Spectator writes about Kyle MacLachlan of Pursued by Bear. D Magazine writes about wines for mom. St Cloud Times writes about the Milbrandt Malbec. This past month I tasted strong sets of new releases from Ardor Cellars, Baer Winery, EFESTE, and Kerloo Cellars to name just a few. Below are some highlights from these wineries and others. 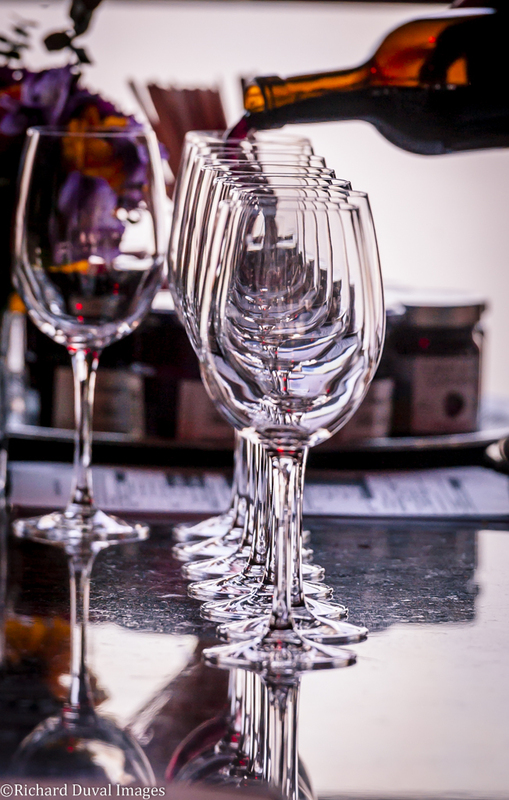 Returning from a long pause, a round-up of stories on Northwest wine from April 15th to 21st. Read previous round-ups here. Wine Spectator writes about Jackson Family acquiring Penner Ash. They also write about Ste Michelle Wine Estates purchasing Patz & Hall. Wines & Vines writes about Ste. Michelle flipping the script on buyouts. 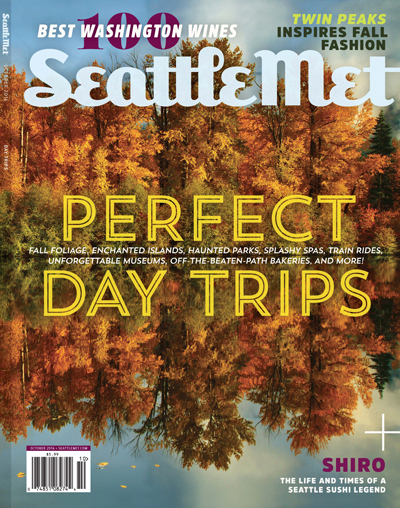 D Magazine recommends several Northwest whites. Below are my Wine Enthusiast reviews for May 2016. Wines are listed alphabetically by winery. Read additional information on how I review wines here. All of these reviews are freely available on-line at the Wine Enthusiast Buying Guide. There is also a freely available Wine Enthusiast Tasting Guide app. See previous Wine Enthusiast reviews re-published in this space here. Search Wine Enthusiast's on-line database here. Bud break has begun on eastern Washington. This picture is of Nebbiolo, which broke on March 23rd at Windrow Vineyard in the Walla Walla Valley. The second image is of Merlot from the same site. Windrow Vineyard and Tero Estates co-owner Jan Roskelley, who took the pictures, said this is about two weeks ahead of historical averages. 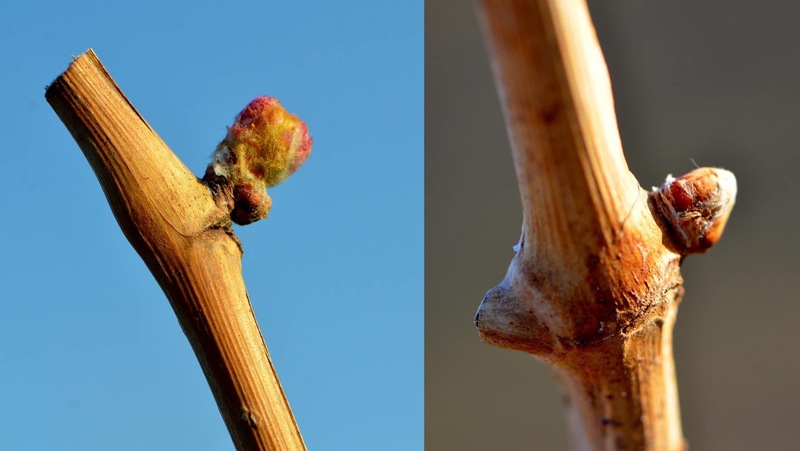 In 2012 - a year with heat accumulation that tracked closely to 20-year averages, we posted images of Windrow Nebbiolo bud break on April 6th. It looks like 2016 will be the fourth consecutive early start to Washington's growing season. A round-up of stories on Northwest wine from March 1st to 14th 2016. Read previous round-ups here. Shanken Daily News writes that Oregon wine’s US sales will cross 3M cases. They also write about Kobrand launching Resonance Wines. The San Diego Union-Tribune says that the Cadence Coda is the Chalize Theron of wine. Wine Enthusiast writes that the Willamette Valley AVA gets bigger. They also write about Andrew Beckham. A round-up of stories on Northwest wine from February 22nd to 29th. Read previous round-ups here. Wine Enthusiast writes about urban wineries, with callouts to Charles Smith and Eight Bells (Seattle section by yours truly). 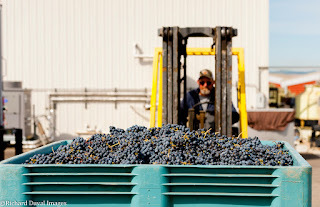 Wines and Vines writes about the Northwest dealing with large harvests. Wine Spectator writes about wineries opting for cork. Below are my Wine Enthusiast reviews for March 2016. Wines are listed alphabetically by winery. Read additional information on how I review wines here. All of these reviews are freely available on-line at the Wine Enthusiast Buying Guide. There is also a freely available Wine Enthusiast Tasting Guide app. See previous Wine Enthusiast reviews re-published in this space here. Search Wine Enthusiast's on-line database here. A lot of exciting wines in the March issue. Sleight of Hand Cellars - already a consistent standout producer - has crafted some of their best wines to date, with the Sleight of Hand 2013 The Sorceress Grenache Columbia Valley ($60, 93 points); 2013 Psychedelic Stoney Vine Vineyard Syrah Walla Walla Valley ($60, 95 points); and 2013 Levitation Syrah Columbia Valley ($45, 93 points). A look at some of the top wines from my tastings this month. 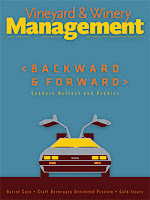 Formal reviews to be published in Wine Enthusiast. There were a large number of standout wines in my tastings this month, some of which are listed below. Of particular note are recent releases from Gramercy Cellars. As I noted on the WWR Facebook page recently, I sample these wines over more than a week’s time and they sung happily along the whole time. Impressive to see, especially from a warm vintage. The wines are all notable for their focus on purity and texture. 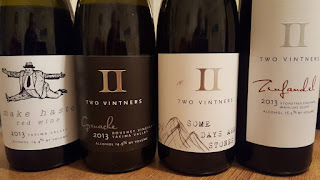 I didn’t list them below in the interest of space but the winery’s 2013 Lower East Cabernet and 2012 The Deuece Syrah are also well worth a look. To the wines! Waiting out the last wisps of winter, most Washington wine folk head inside to enjoy a happy mix of releases, dinners, openings, and other winery events. And when they do, resident photographer Richard Duval goes with them. Click on the picture to see a larger image. See previous Pic of the Vine images here. Enjoy! A round-up of stories on Northwest wine from February 15th to 21st. Read previous round-ups here. 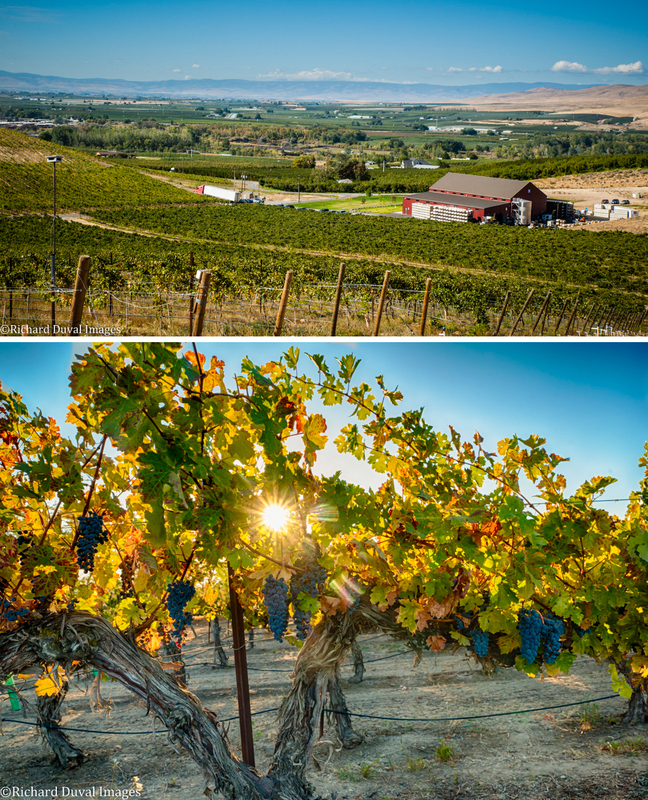 The New York Times writes about the reinvention of Walla Walla’s wine country. Shanken Daily News writes about Vintus partnering with Ponzi. Below are my Wine Enthusiast reviews for December 2015. Wines are listed alphabetically by winery. Read additional information on how I review wines here. All of these reviews are freely available on-line at the Wine Enthusiast Buying Guide. There is also a freely available Wine Enthusiast Tasting Guide app. See previous Wine Enthusiast reviews re-published in this space here. Search Wine Enthusiast's on-line database here. Taste Washington is coming up March 31st through April 3rd. I had the privilege of working with the Washington Wine Commission to organize this year's educational seminars, and I believe we have a terrific lineup. There are two seminars that I will be moderating this year. Saturday, April 2nd from 10:30-12pm, I will be moderating a panel on Washington Cabernet titled, "King Cab! An exploration of Washington State Cabernet Sauvignon." We'll be tasting a selection of Cabernet from around the state and talking about what makes Washington Cabernet distinct. Joining me on the panel will be Sarah Goedhart (Hedges Family Estate), Linn Scott (Sparkman Cellars), Rick Small (Woodward Canyon Winery) and Josh Maloney (Maloney Wine & Milbrandt Vineyards). See the lineup of wines we'll be sampling here. Come say hello! Tomorrow I will be posting scores from December 2015 along with some text about some of the wines. I will post scores published thus far this year next week. If you have any questions or find any issues, please let me know. Below are my Wine Enthusiast reviews for November 2015. Wines are listed alphabetically by winery. Read additional information on how I review wines here. All of these reviews are freely available on-line at the Wine Enthusiast Buying Guide. There is also a freely available Wine Enthusiast Tasting Guide app. See previous Wine Enthusiast reviews re-published in this space here. Search Wine Enthusiast's on-line database here. Below are my Wine Enthusiast reviews for September 2015. Wines are listed alphabetically by winery. Read additional information on how I review wines here. All of these reviews are freely available on-line at the Wine Enthusiast Buying Guide. There is also a freely available Wine Enthusiast Tasting Guide app. See previous Wine Enthusiast reviews re-published in this space here. Search Wine Enthusiast's on-line database here. Below are my Wine Enthusiast reviews for July 2015. Wines are listed alphabetically by winery. Read additional information on how I review wines here. All of these reviews are freely available on-line at the Wine Enthusiast Buying Guide. There is also a freely available Wine Enthusiast Tasting Guide app. See previous Wine Enthusiast reviews re-published in this space here. Search Wine Enthusiast's on-line database here. A round-up of stories on Northwest wine from February 1st to 14th. Read previous round-ups here. 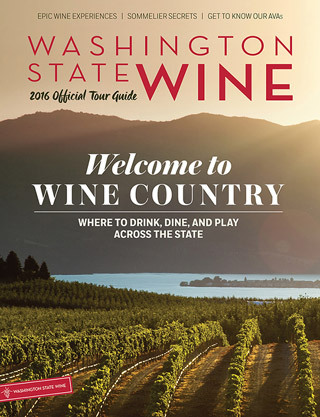 Wine Enthusiast writes about Washington wine (article by yours truly). They also write about Gamay two ways. 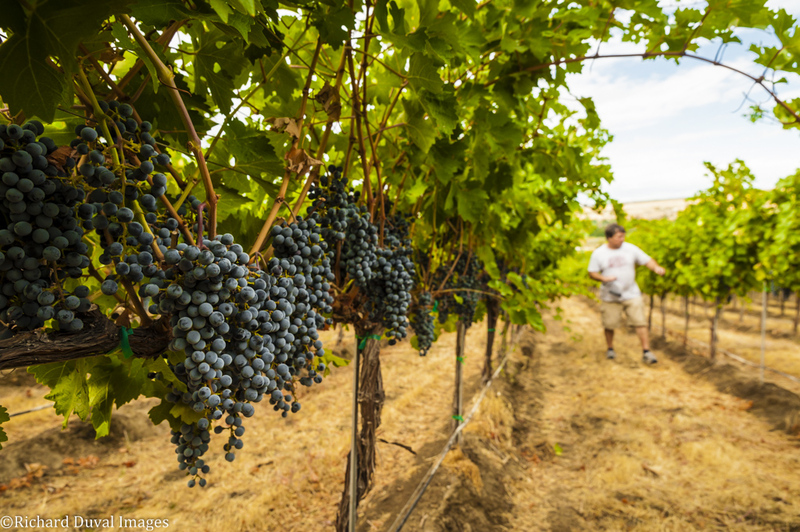 Wines and Vines writes that water management is key to growth in Washington. They also write that grape growers look ahead. 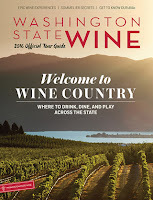 The March issue of Wine Enthusiast magazine has an article I wrote on Washington titled, "Vintage Washington" that explores recent vintages in the state, including the benchmark 2012s. You can read the article on-line here. Additionally, in the same issue, in the "Urban Wineries" article, I wrote a short piece about Seattle, with callouts to Charles Smith and Eight Bells (not currently available on-line). You can see a complete list of publications, most with weblinks or .pdf downloads, here. Enjoy! In somewhat of a surprise, wine grape production in Washington contracted slightly in 2015 to 222,000 tons, down 2% from the prior year. The decrease was largely a result of a drop in white wine grape production, which decreased 8%. 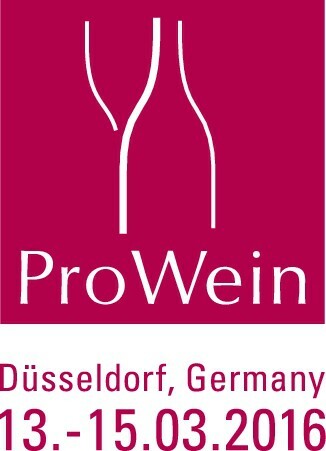 Riesling saw the most dramatic decrease, from 50,500 tons in 2014 down to 44,100 tons. A round-up of stories on Northwest wine from January 22nd to 31st. Read previous round-ups here. Wine Spectator writes about the sale of Seven Hills Winery. Minnesota Monthly writes about Washington wine at the Minnesota Food & Wine Experience. San Antonio Current writes about rogue reds. Starting off an inaugural 'Wines of the Month' column and I can't imagine better wines to do it with. Winemaker Morgan Lee at Two Vintners in Woodinville has always impressed with wines that display a combination of quality and value. However, Lee’s 2013 releases take things to a new level. The four wines below are all (very) highly recommended. 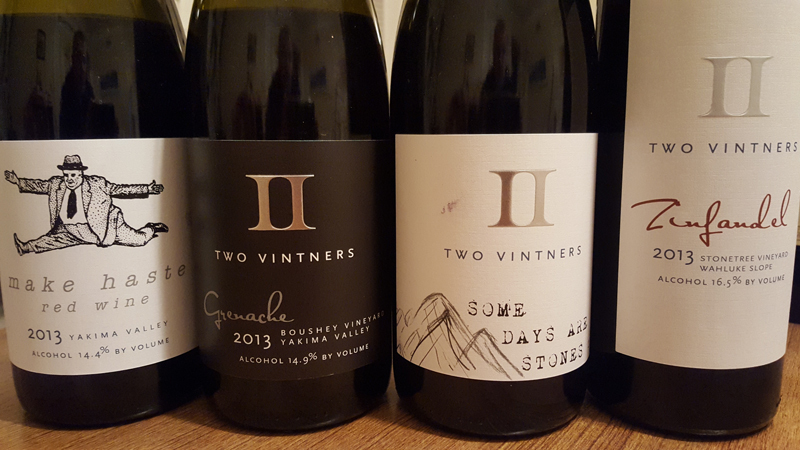 They are easily some of the most exciting wines I've come across in the past few months and only pick up steam on the second and third day. At the height of the season, Washington vineyards burst with color and sheer beauty. Winter? That’s a different story. Vines shut down for a long sleep and color is fleeting and muted. But there is beauty to be found. 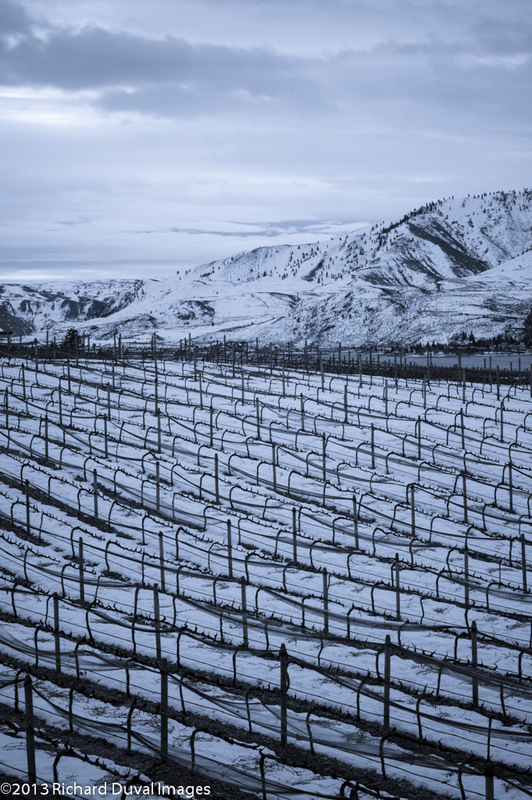 Resident photographer Richard Duval captured this winterscape of Riesling at rest from Pepper Bridge Vineyard in Walla Walla. 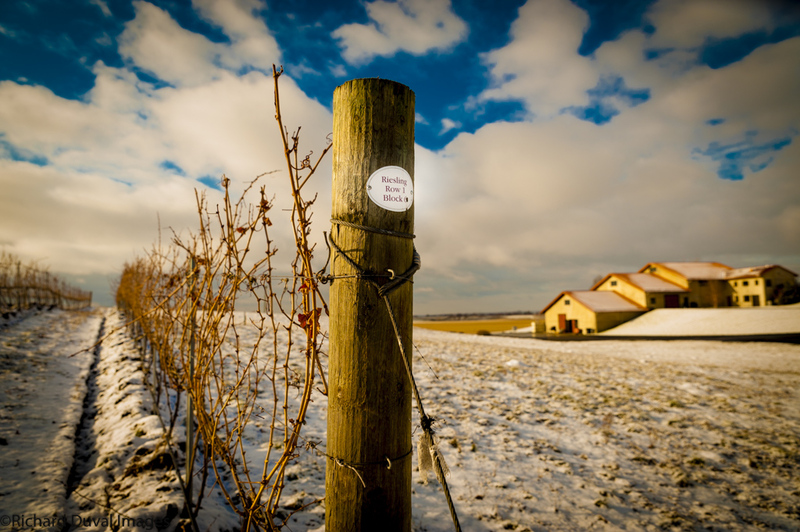 A round-up of stories on Northwest wine from January 15th to 21st 2016. Read previous round-ups here. Decanter writes about Jackson Family purchase Oregon property. Wine Enthusiast writes about Oregon’s golden era. Back to the business of blogging. A round-up of articles on Northwest wine from January 1st to 7th 2016. Read previous round-ups here. The New York Times says Oregon Pinot Noir delivers an element of surprise. Wine Spectator says the excitement right now is in Oregon. The Minneapolis Star recommends the Underwood Pinot Gris.